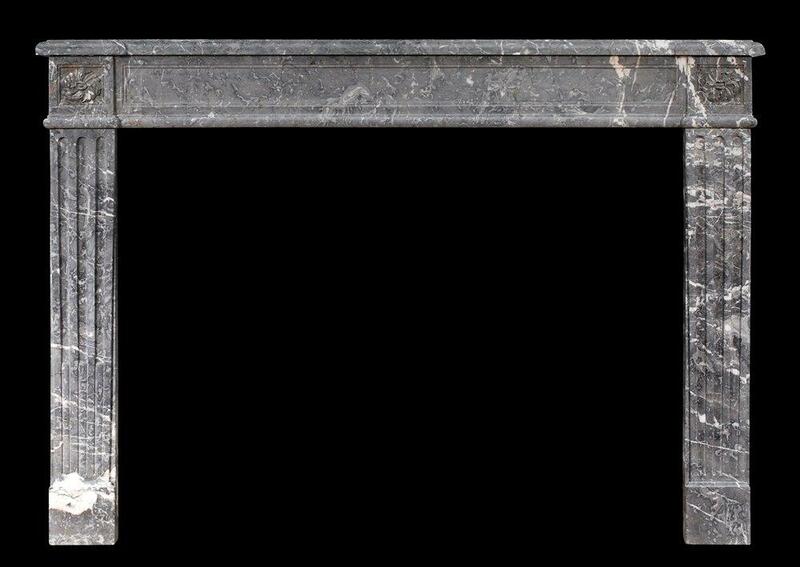 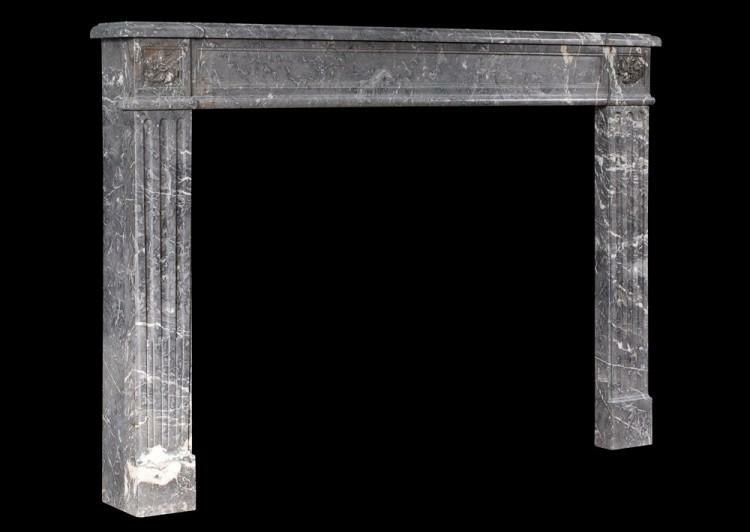 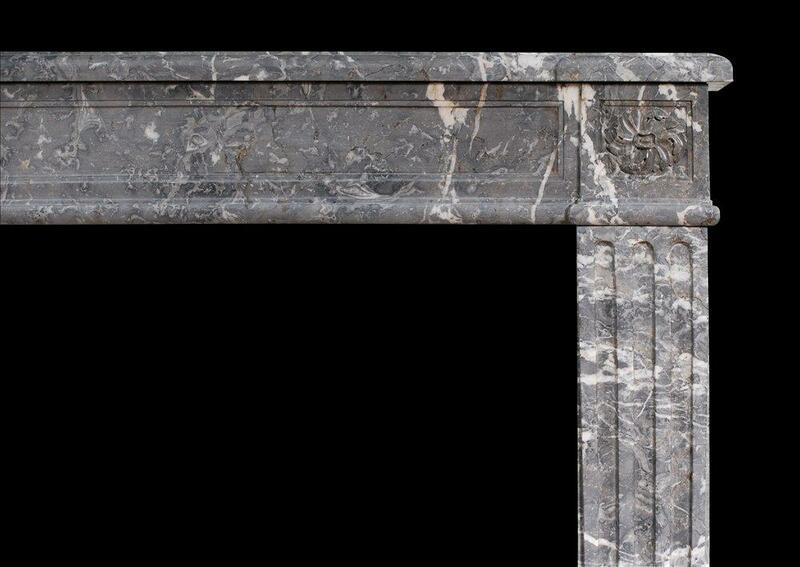 An 18th century French Louis XVI marble fireplace in Sainte Anne des Pyrenees grey marble. 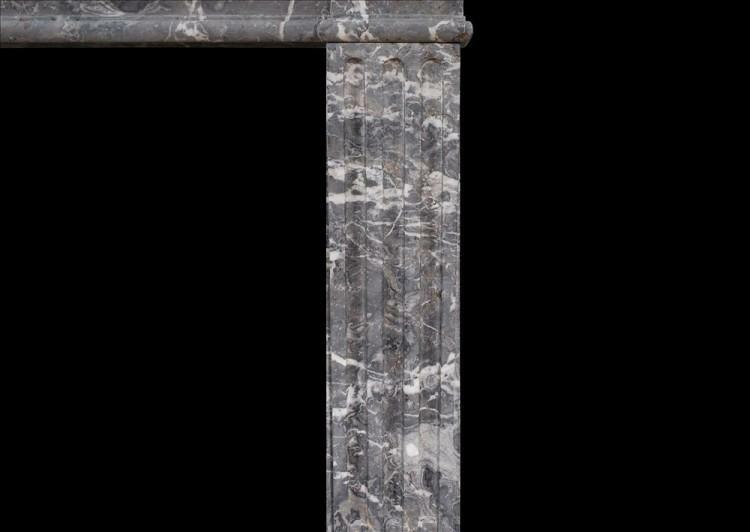 The stop fluted jambs surmounted by carved swirling paterae to end blocks. Panelled frieze surmounted by moulded shelf.